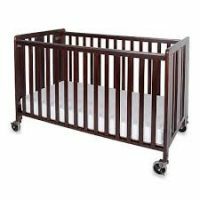 Whether you call them baby bed rental, cribs or cots, our Full Size Fort Lauderdale crib rental fold flat for easy delivery and set up. Manufactured by Foundations. These baby beds are commercial quality meeting the maximum safety standards. While safety is essential, our baby bed rental offers classic style to blend comfortably with decor in homes, as well as hotels. We provide a full size crib mattress, fitted sheet and light weight blanket with each rental. Full size Fort Lauderdale crib rental is truly full size, just like you have at home. Appropriate for children from new born to a maximum of 35-inches tall or 50-lbs, therefore a great option for toddlers who have not yet transitioned to a big kid bed. If a child has begun climbing out of a baby bed, it is important for safety to choose an option other than a baby bed rental. The CPSC recommends children under 2-years old are safest in a bare bed. No pillows, blankets, bumpers, stuffed animals, or toys. Baby bed rental physical weight is 57-lbs, thus requires 2 people for movement up/down stairs safely. Also, Delivery and Pick up at the use location is required for Fort Lauderdale crib rental. Our cleaning process is extensive. Rockabye uses a hospital grade cleanser to clean each baby bed and Fort Lauderdale crib rental mattress after each rental, then 160 degree steam is used to remove any residue and to kill possible exposure to bedbugs and lice. 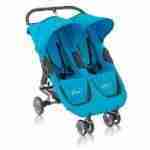 No other baby equipment rental company in Fort Lauderdale offers this level of sanitization for baby bed rental. Read more about our cleaning process. Hotel or Vacation Rental Property? 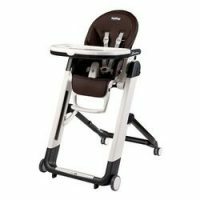 Notify your hotel, AirBNB host, or rental property owner that Rockabye will be supplying baby gear and baby bed rental for your child(ren) during your stay. Ask them to note your reservation, and if there are any specific instructions you need to provide to Rockabye. If a property is inside a gated community, we require a gate code or that “Baby Rentals” be added to approved visitors so our staff will be allowed into the community. Provide us with any instructions we need from your hotel or host. Also, provide us with a Contact Name and Telephone number in the event there are any issues at the time of delivery or pick up. Third-party companies manage and clean many AirBNB, VRBO, and HomeAway properties, therefore it is important that we have all necessary contact details for the host or manager. We have a Notes box in our order form specifically for these details. If you depart prior to pick up, we prefer you call to notify us so we can reschedule your Fort Lauderdale crib rental pick up time.